It seems every one has reservations about the Greek proposals. However, the European Commission, the Eurogroup of finance ministers and the heads of state, including Merkel, seem somewhat more supportive than the ECB and IMF. National parliaments will likely grant their approval in the coming days. The hardest sell may be in Greece itself. Prime Minister Tsipras has to temper his campaign promises. This cannot be totally unexpected. Support for Syriza was not just about the precise promises, but was also about its attitude. Assuming that Greece stays in EMU, as the vast majority of the voters desire, who would negotiate a better deal for Greece? The old elite represented by the duopoly of New Democracy and PASOK who have run Greece for a generation or the so-called radical left? Nearly every investor, analyst and economic journalist has a view on deal that was worked out. The key to us is that a Grexit is off the table again. What was always the issue is what will Greece have to do to receive the next tranche of funding to keep its creditors whole. Rather than the Troika dictate its demands, the new Greek government has been given an opportunity to make their own concessions. The IMF may have doubts over Greek's proposals, recall that it was not persuaded by the previous government either. It has held back the 7.2 bln euro tranche since the middle of last year. Lagarde's note makes it sound like Greece should not count on getting funds until the April review. The IMF's participation in the European debt crisis was controversial at the start. Reluctantly, European countries, including Germany relented. The IMF accounts for about a sixth of the aid programs. Greece owes the IMF about 1.5 bln euros next month. How will it come up with the funds? It seems likely to us that Greece will be allowed to issue for T-bills, but this has to be decided by the ECB. Draghi, whose conduct of monetary policy has been criticized especially by the Bundesbank, is also less than satisfied with the Greek proposals. After suspending the waiver on accepting Greek bonds as collateral, Draghi seems to be in no particular hurry to reverse itself now. That said, it is hard to imagine the ECB cutting Greece's access to the Emergency Lending Assistance (ELA) facility for which the national central bank bears the risk. The ECB is expected to review Greece's ELA next week. It appears that what happened was that EC and Eurogroup officials helped Greece draft what would be an acceptable document for them. The ECB and IMF were not presented in the shuttle diplomacy. This means that their interests were not represented. It is ultimately a political decision. That said, the IMF and ECB have the purse strings, but will not overrule the political decision. Although nearly all the reports have underscored that Greece's aid program was given a four-month extension, we think it is more realistic to focus on the end of April review. 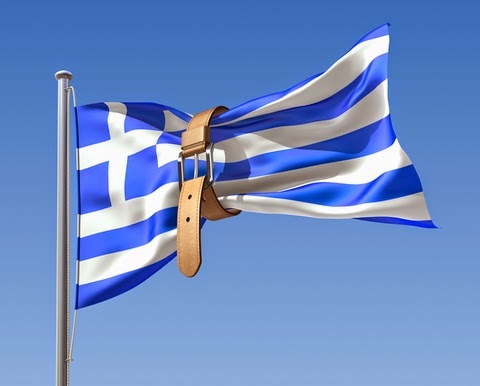 It is in the next two months that the Greek government needs to pass the enabling legislation to enact the reforms. This is indeed a tall order. However, the Syriza-led government is going in a direction on corruption, tax evasion, and rent-seeking behavior that were not essentially for the Troika in the past. Recall one of the great brinkmanship exercises in modern times, the Cuban Missile Crisis. US President Kennedy won the public relations contest, but he did remove the missiles from Turkey quietly. Russia successfully negotiated something it did not have (functioning missiles in Cuba) for something it wanted (getting rid of the missiles in Turkey). We cite this to suggest the distinction between the public relations spins and the substantive developments. The parliament to watch is not the German or Finnish parliament, where there no doubt will be a number of objections and dissents. The key parliament is Greece where the reforms must be enacted over the next two months.